Alexander Pushkin was Russia’s national poet, the founder of its modern literary language, an innovator across a broad range of genres, and a figure whose biography has generated intense interest and controversy in fields and forms as different as literature, visual art, theater, film, and music. 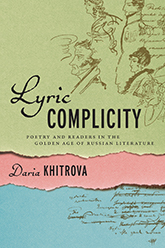 This series publishes works of individual and joint scholarship that feature aspects of Pushkin’s creative world and times. 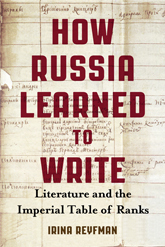 Various critical methodologies and approaches are encouraged, the primary criterion for acceptance and publication being the quality of the research, including its importance for the field of Pushkin studies, and the compelling nature of the guiding idea or argument. Visit the Pushkin Center website here.